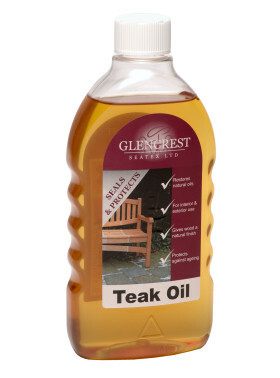 Teak Oil is a wood sealer especially suitable for use on wooden garden furniture. Teak oil protects the wood from drying out, gives wood a natural sheen and is suitable for indoor and outdoor use. Ensure surface to be treated is dry and clean. Apply liberally with a lint free cloth and rub oil lightly into grain. Wife off surplus oil. Clean equipment with White Spirit. Replace the cap firmly. We can also supply a point of sale unit to display our teak oil on. The unit displays 60 bottles of Teak Oil. See our Point Of Sale section for more details.